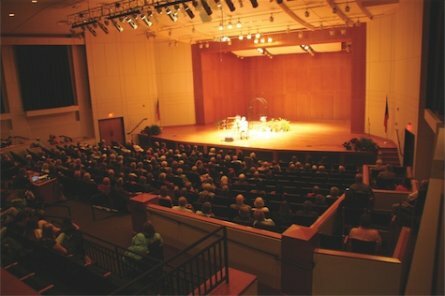 This week, instruments and NEXUS musicians are heading from all directions to LaGrange College in Georgia, for their performance on March 23rd at 7:30 pm in the popular Callaway Concert Series at Callaway Auditorium. Check out the College’s fun video promo by clicking here. Percussionist Ken Passmore will join NEXUS onstage for Steve Reich’s Music For Pieces of Wood. NEXUS is the closing event for this year’s Series, so they are really going out with a bang. Columbus State University students will also be coming down to LaGrange for the event. Columbus kindly helped out with some required instruments. We must also thank Ann Sellman of LaGrange College for making this event happen. Tickets at the door will be adults, $20, and students, $10. They may be purchased online at www.lagrange.edu/callawayconcertseries or click here. “Challenging the mind, Inspiring the soul” in Georgia.